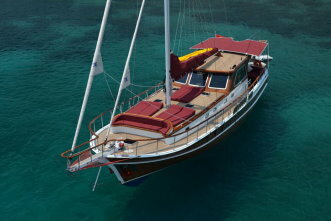 GULETs are tradationally wood built and very suitable for charter in the Aegean and Mediterranean, as they have spacious deck space for outdoor living and sunbathing. 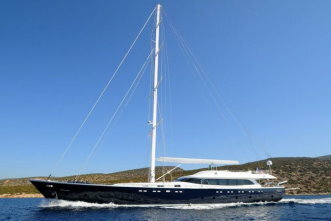 Their size are between 15 and 50 meters in lenght and they can host 6 - 32 persons in separate double cabins with en-suite wc/showers. 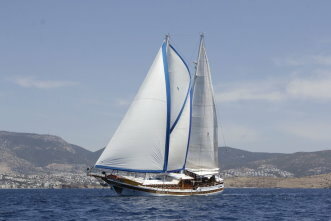 The crew consist of 2 - 7 (depending on the size of the yacht); captain, cook-seaman and deckhands. Serving, cooking and cleaning are also done by the crew. 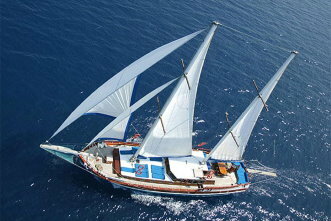 All Gulets are equipped with navigation systems. 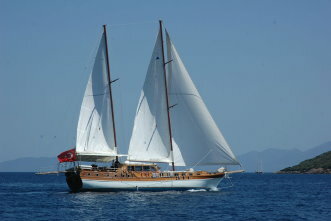 In Private Gulet Charters, gulet is rented privately. 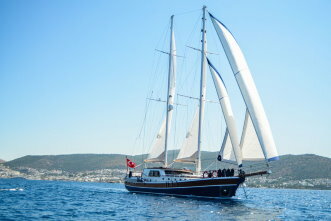 There is no fixed itinerary and it is possible to board or leave the yacht in any harbour, such as Bodrum, Marmaris, Göcek, Fethiye and also in Rhodes and Kos (Greek Islands).